Make a splash. Trust our experts to remodel your shower, sink, and more. A bathroom remodel is one of the most common home improvement projects. It is an easy and cost-efficient way to increase the appeal of your home. Sears Home Services offers bathroom remodeling services for any budget. Complete your bathroom remodel with new bathroom flooring options, new countertops, vanities, sinks and tubs. We provide personalized service with a free in-home consultation. Our bathroom remodeling experts will work with you to get the bathroom design you want. 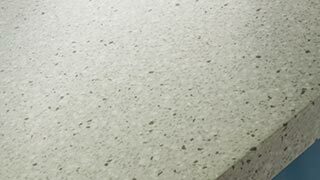 Explore countertop options like granite, quartz, and more. 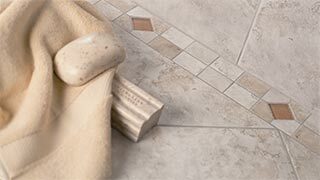 Find your favorite floors – choose from tile, laminate, vinyl, and more. 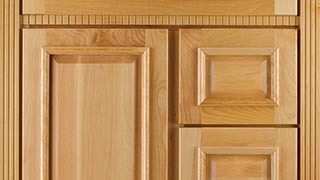 Choose your new door styles, colors, and cabinet hardware. Customize your bathroom with a tub or shower that fits your space and budget. 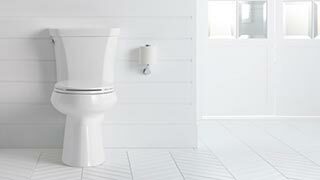 Replace your aging toilet with a new one. Find the perfect bathroom accent pieces including faucets, towel bars, shower heads, accessibility accessories and more. Whether you are contemplating light renovation or a complete overhaul of your master bathroom, your trusted remodeling experts from Sears Home Services can make your dream bathroom a reality. We know a bathroom remodel can create chaos in your home. A major benefit of working with Sears Home Services is our skilled installation teams. Our bathroom remodeling services include complete project management, from bathroom remodel ideas to professional installation. Design—Our innovative design specialists can help you explore the latest trends and styles in bathroom design or match existing decor in the rest of the house—and designed to fit any budget. Project Management—We take care of all the planning so you don't have to deal with the stress of coordinating your bathroom remodeling, and you know that in our capable hands, your renovation will be done smoothly and efficiently. Installation—Sears Home Services demands the highest standards and skill from all our installers. The people working on your bathroom remodel have solid industry experience and a track record of excellence. No matter why you want to remodel, Sears Home Services knows what you need and can help you achieve your goal. 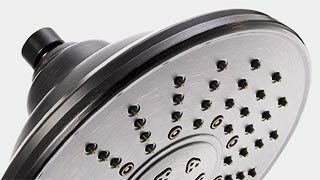 When the bathtub starts leaking, or your shower doesn’t work as well as it used to, having to replace it provides an excellent opportunity to remodel. You’d be surprised how brand new countertops, free-standing vanity sinks, elegant faucets or even the flooring can elevate the look and feel of a bathroom. Whether you are looking for more stylish faucets, a half-bathroom remodel or a luxurious new bathtub, there are so many style and budget options available. The design experts at Sears Home Services can show you the latest fixtures to fulfill your desired functions, the most popular colors and styles and how to coordinate your custom bathroom design with the rest of your home. We are happy to help you create the look you desire for your bathroom. QUIZ: What Bathroom Design Trend Should You Try? QUIZ: How Prepared Are You for a Home Improvement Project, Remodel or Interior Design? All work is Sears warranty and satisfaction guarantee . Customize your bathroom with products from these trusted brands. In our long-standing tradition of providing the best in customer care, Sears Home Services contracts only with licensed and insured professionals who pass our rigorous screening process. We are dedicated to providing you with a painless bathroom remodeling experience. Whether you want to go over project management, compare bathroom designs or understand the work that needs to be done, we are here for all your bathroom remodeling services.